You might not know it, but today is a certain subculture’s favorite holiday of the year. Cannabis enthusiasts across the world keep April 20 marked on their calendars as a day to commemorate their passion for pot. Though “4/20” is inherently a silly sort of celebration, marijuana use has increasingly become a serious issue that Americans wish to discuss as a legitimate political topic, according to data structured and visualized by InsideGov. Four states have legalized marijuana for recreational use, and many others have done the same for strictly medical use — though a stroll down Venice Beach can illustrate just how “strict” California’s regulations are when it comes to weed. 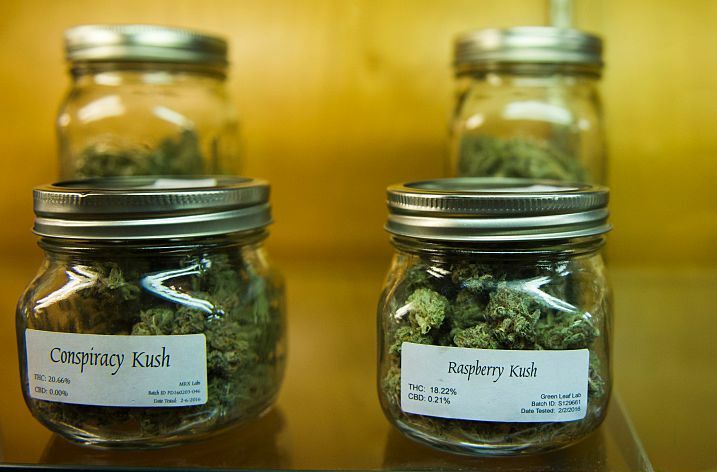 Regardless, the medical marijuana industry is undoubtedly a growing cash cow. Medical cannabis sale revenue across the United States increased by nearly 24 percent to $5.7 billion in 2015, and is predicted to balloon to $22.8 billion in 2020. Marijuana’s financial potency might surprise some, but there’s a clear opportunity for economic growth tied to the drug. More than 15 percent of Americans reported marijuana usage in 2013, the second-highest rate in the world. If state governments can redirect the massive amounts of cash changing hands in illegal marijuana trade to regulated pot shops, that money can be earmarked to benefit potentially worthy causes. For instance, Colorado residents voted to put revenue earned from recreational marijuana purchases toward funding many aspects of its education system, including millions toward drug education. With that measure in place, 4/20 enthusiasts who purchase their weed legally in Colorado actively contribute to local children learning about the dangers of such drugs. If more states take legislative action on marijuana in the future, that sort of blueprint could serve as a “joint” solution to satisfy both factions of the debate.